Warts can be painful - not so much physically as socially. "I feel so ashamed to take my shoes off at the beach!" Joanna had warts all over her feet and many on her hands. She'd heard that hypnosis is historically famous for clearing warts (1) and, after having exhausted many other attempts to shift them, she wound up at my door for some "natural treatment" (as she put it). Historically, people have used 'charms' to remove warts; often very successfully. 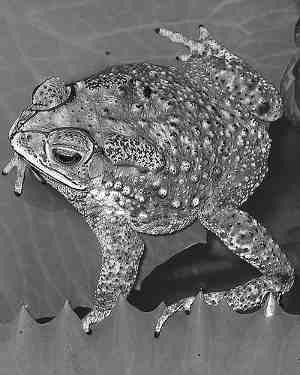 It was believed that warts were caught from handling frogs or, more specifically, toads (warts are viral, but not toad-related). It was also believed that the local practitioner of magic (nowadays termed 'your doctor') could 'charm them' away. Expectation and belief can alter the workings of the body (3). So whether it's the 'magic' of the charm producing the expectation that the wart(s) will drop away (thus activating the body to make the necessary changes at a cellular level) or a hypnotist directly suggesting those changes take place naturally, removing warts (without recourse to chemical intervention) has a long and successful history. How does hypnosis work in curing warts naturally? More specifically, how did I help rid Joanna of what she called those unsightly "monstrosities"? Warts are extremely susceptible to blood flow. This is why a common and surprisingly effective natural wart treatment is to immerse the affected area in hot water and cold water alternately, thereby altering the blood flow to the area. Blood flow is also affected by what your mind does. For instance, some people can make themselves blush just by recalling an embarrassing incident - using the mind (by remembering) powerfully alters blood flow to their face. When a hypnotist cures warts, they are merely tapping in to the natural capacity we all have to change blood flow in the body by using the mind (men will know exactly what I'm talking about here). When we prevent the 'feeding' of warts via blood supply, the warts begin to drop away like dead leaves from a winter-bound tree. And sometimes this can happen extremely quickly. Any hypnotic suggestions that deal directly (or even indirectly via metaphor) with blood flow to warts can work wonders. I hypnotized Joanna and suggested to her that the warts were parasitical "invaders" and that "the constitution" (being her body) would now rule that no more valuable "food" needed by the "genuine" parts of her body would be given over to keep the warts in place; that they'd need to "go elsewhere for their free blood fest." I suggested that she "watch in her mind" as road blocks were placed into position, denying the warts any more blood from that point on. Her mind and body did the rest. A week later she came back in with 75% of the warts having withered away or greatly diminished in size. Three weeks later, there were no traces that any warts had ever been there. Before parting company, Joanna told me she'd never really believed in this kind of "mumbo jumbo" before (I try not to take comments about my profession personally), but was just grateful to have one less thing to worry about. Power to us white witches, I say. If you'd like a free taster of natural hypnotic wart treatment, click on the free audio session below. If you'd like some extra help around Natural wart treatment: How hypnosis can help my company Uncommon Knowledge provides a huge library of hypnosis sessions through Hypnosis Downloads.com. I have helped create all the sessions there and have listed related downloads below. Please let me know in the comments section below how you get on. Druids working thousands of years ago are said to have cured warts using 'magic sleep'. And Franz Anton Mesmer (from whose name the word 'mesmerism' derives) also famously cured warts using hypnosis. For a wonderful summery of the scientific research relating to placebo see: The Emperor's New Drugs: Exploding the antidepressant myth by Irving Kirsch.